Co-location/Infrastructure Sharing: It shall be obligatory for operators/service providers to share all infrastructure supported by the USPF with other operators/service providers at reasonable prices, in line with the USPF’s guiding principles of Accessibility, Affordability and Availability. Social Inclusion: All USPF projects shall be designed and implemented in a manner which ensures equitable and sustainable access to ICT services by vulnerable groups and disadvantaged interests i.e. the elderly, physically challenged, women and children in the community. 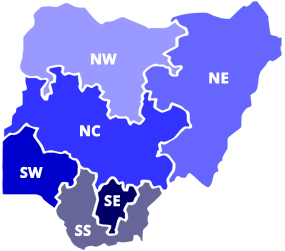 Geographic Coverage: USPF programmes and projects shall be developed in all states of the federation in order to provide ICT access and connectivity to unserved, underserved areas, communities and groups. Promote Private Sector Investment: USPF programmes and projects shall stimulate increased private sector investments in un-served and underserved areas. Encourage Competition: USPF programmes and projects will encourage competition as much as possible, between operators by using transparent and competitive mechanisms to allocate USPF financing and subsidies. Promote Consumer Interest: USPF programmes and projects will promote consumer interest by facilitating access to affordable, readily available and reliable ICT services. 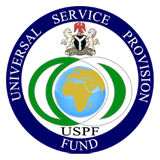 Sustainability: USPF will give priority to programmes and projects that are self-sustaining and do not require subsidies on a continuous basis. Foster Economic and Social Development: USPF programmes and projects will stimulate productive use of ICTs for economic, social and cultural development. Consultation, Transparency and Accountability: USPF will develop and periodically update its programmes and projects through continuous public consultations with key stakeholders. Quality of Service: USPF will enforce compliance with quality of service standards with respect to its projects. Technology Neutrality: USPF programmes and projects will be guided by the principle of technology neutrality and allow the market to define the best technology solutions.